Kiran Mazumdar Shaw: What Price Philanthropy? Over the past month, I have been a silent spectator, witnessing a miserable drama unfold in Bangalore. This is regarding a remarkable project to safeguard an important art collection through the upkeep and modernisation of an ailing state gallery the Venkatappa Art Gallery (VAG), by turning it into a new museum for the city. These plans were to be made possible through local corporate philanthropy. Sadly, the plans are currently in jeopardy as they are being protested by a group of ‘artist activists’ operating under the banner of the ‘VAG Forum’. Rather than being based in rational argument, discourse and constructive criticism, the protest has been conducted through personal attacks, ill-researched and incorrect accusations, ignorance and fanciful conspiracy theories. As the journalist, Vedam Jaishankar, has recently put it, this protesting group are involved in ‘sullying culture, and a revered institution, in Karnataka’, and you, the people of Bengaluru, will be the ones to lose out from this. I am a concerned and proud Bangalore citizen who believes I have attempted to do good for the city and in helping it evolve. This is why I also proudly agreed to be part of the Karnataka Tourism Vision Group in an attempt to contribute ideas towards improving tourism in the state, and as a result the lives of those who benefit from it. It saddens me to see that these clear, transparent and positive plans to promote the cultural sector in Bangalore are meeting with resistance, from an antiquated and regressive mindset which is against positive change. Is it so hard to believe that there are those who wish to use their positions and access to funds to make Bangalore a better place? Must these plans to make the city a better place for all of us constantly be disrupted by the activities of a dissenting few, who create a world of suspicion, conspiracy and paranoia, against those who are trying to effect positive change? The world over, the cultural and educational sectors welcome the support of the private sector to improve their services. Are we so pig-headed in Bangalore that we think our museums and galleries are fine institutions without need of modernisation, and that the government alone is doing enough? I understand why some artists might not want to own-up to the shortcomings of the current system of which they are a part, but why should the rest of the city, and the next generation of artists and citizens, be held back because of this emotional and out-dated sentiment? I have waited to see whether better sense would finally prevail, and have been disappointed again and again at finding it totally missing. I had hoped the city’s citizens would see through the conspiracy theories, but as this has not been the case, I wanted to break my silence, and to communicate some facts. About two years ago, the Government of Karnataka made a plan for the adoption of certain cultural destinations in the state under Corporate Social Responsibility (CSR), which then became a cabinet decision and issued as a Government order, after which the Tourism minister reached out to the Karnataka Tourism Vision Group and various Corporates and Foundations to come forward to adopt places under this program as a Public Private Partnership (PPP) model. 46 destinations were identified over a wide geography throughout the State. 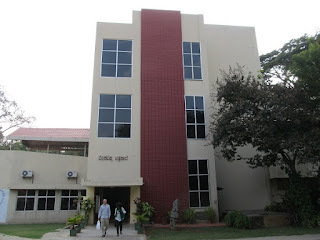 Twelve of these, including the Venkatappa Art Gallery (VAG) were located in or very near Bengaluru. Local businessman and long-time patron and supporter of the arts, Abhishek Poddar, was invited by the government to participate in this PPP and help adopt the VAG – which has unquestionably fallen into disrepair over the years and is in serious need of investment. He was selected based on his credentials as being not only someone willing and able to invest his personal money as well as raise considerable funds from the corporate community, but also someone involved in the arts on a local and national level, as he was then on the board of the National Gallery of Modern Art, Bangalore, and advisor to the Deccan Heritage Foundation and and advisor to the Foundation Inde-Eurpoe de Nouveaux Dialogues, based in Rome. I have known Abhishek for over 20 years, and he is possibly the most competent, trustworthy and professional person in the Bangalore artworld to facilitate this project. Under the non-profit arts organisation the Tasveer Foundation, of which Abhishek is a trustee, I, along with the government, and the KTVG were confident this would be a great initiative for the city, and was being managed through the right hands. Representing the Tasveer Foundation or TF, Abhishek accepted the Government’s invitation with a sense of responsibility, in the belief that with his help, real change could be implemented. He agreed to adopt the VAG for a minimum of five years and, as per the conditions of the MoU, (which incidentally are the same for all the sites currently adopted), and then hand it back to the government on the PPP understanding, once its modernised building and processes were in place. Within a short time thereafter, he drew up a Management and Advisory Board under the TF, to carry out the work needed to improve the VAG and facilitate a new museum. This board included several prominent public figures, including myself, to make it happen. The board oversaw, through local and outside advisors, the drawing up of a fantastic plan to rejuvenate the VAG, by totally renovating, modernising and expanding it to become a new museum which would continue to exhibit its existing art collection, besides bringing additional art on view and be even more inclusive than it had previously been. When other institutions are becoming world-class in the city, why should art and culture be left behind in the dark ages? An intrinsic aim of the board, and also the MoU, was a focus on transparency regarding the financial operation of the project. Significant amongst this is that any funds generated from ticket sales, or any other commercial activity of the museum would have to be reinvested right back into running the project and the safeguarding of the existing collection therein. This would ensure that neither Abhishek nor the Tasveer Foundation nor MAP’s Board would draw any income from the project VAG whatsoever. At the end of the agreed tenure, all modifications and additions in terms of non movable assets would revert to the state at the end of the MoU period. Further, we as the Management Board agreed to appoint a prominent auditing firm at the appropriate time to ensure its finances and running are completely diligent and transparent. For all intents and purposes, and with the sum of money we envisaged this project would cost, this makes this an exemplary act of cultural philanthropy, and one that would endow this city with a star attraction like few others anywhere in the country. I am saddened to say that I don’t find the support I would imagine this should deserve from the people of the city, and that the project has been allowed to be threatened by an aggressive and misinformed group who are campaigning that this is a "handing over of VAG into private, profiteering hands". The most prominent victim of all the noise and whistle blowing and unfurled black umbrellas and skirmishes in government offices is . . . the truth. As you will see, there is almost no truth whatever in all the attacks that have been mounted on Abhishek Poddar and the Tasveer Foundation and, by extrapolation, on the Board. Indeed, with every passing day, the attacks grow louder and more personal and fanciful, and the exaggerations and lies more hysterical. It is beyond comprehension why some senior artists who have themselves not exhibited in the current VAG in the last five years or more and are seldom seen within its walls, have suddenly felt it necessary to "protect" it from those who will transform it into a pride of Bangalore. The sad part is, that I am sure there are valid voices from the artists community which should be heard, and ideas they can contribute to make the project even better, even more inclusive. However, these voices are being drowned out and undermined by the VAG Forum’s irrational smear campaign. If these misguided protests are successful, we as a city have some serious questions to answer: What then is the value of the MoU that the government has signed? What then is the value of the commitment given by the Government. Not just in these projects, but any agreement signed by them? What is the point of the government inviting foundations and corporates to participate and adopt the State's greatest landmark projects, develop them and make them part of a planned tourism venture at no cost to the State itself? Why should any of the companies that were considering the government's invitation take it seriously any more? Why should they put their CSR funds at risk if, after they have committed themselves to the projects they adopt, and started to spend money on them, when they can so easily come under the kind of mindless attacks and allegations that in this case the VAG Forum has initiated. It is now time for the Government of Karnataka to decide who authors their policies, and who holds the power. The Karnataka Tourism Vision Group was an inspired idea. It is also time for the people of the city to stand up and take responsibility for what they would like to see for the future of their city and for their children. It’s time for every citizen who is interested in Bangalore and in its advancement, to stand up and voice what they would like. These projects are not being done just for art and culture, they are a valid attempt to make Bangalore a better place for everyone. I too had submitted a plan to help improve and modernise a museum in Bangalore – by adopting the Visvesvaraya Industrial and Technological Museum (VITM), to transform it to a world class Science and Technology Museum for the city and the state. I am sure most of you are already aware of the sequence of events that unfolded there, and to save the VAG from the same fate, I have chosen to speak out here. Our history is littered with examples for both ends of the spectrum. Remember Ravindran Kalakshetra? What promise it had, and its status today? It took the personal passion and effort of Arundhati Nag to make Rangashankara happen which is the pride of theatre here in Bangalore today. Similarly you may also recall the objections and protests to many such pathbreaking initiatives including the Tender Sure roads, and thankfully we have some of them complete with many more under way. Now it is for the government and the people to fend off the nonsensical attacks, and instead focus on the implementation of good ideas. Nobody will benefit from it falling victim to the small-mindedness that the VAG Forum has managed to dredge up. We need to decide if we want to promote art and culture, or give in to art activism and terrorism. In short, this is a fantastic project which can only be a positive asset for Bengaluru. It is being carried out in a transparent, honest and professional manner, and by a highly competent and respectable group of people, all of whom have public and cultural interest as their number one priority. Are we really going to stand by and let a group of disenfranchised, conspiracy theorists block such a move? Isn’t that a terrible loss for the city? Will citizens please speak up? I support the VAG and its new avatar with Tasveer Foundation. I feel that the decision of who manages a public institution should go to the people best able to do so, with adequate resources, integrity and experience. Regarding the Tasveer foundation, its members seem qualified in various spheres. Why should VAG be left in incapable and inefficient hands and remain the mediocre, smelly, badly managed space that it is? The world over private institutions supports the arts and that includes the fantastic MOMA and British Museum that rely on what we call ppps’ to exist. Why not adopt a model that seems to have worked the world over? I think the fact that the protesting artists have refused to enter into a dialogue with the foundation or the government might reveal a deep insecurity. It also seems petty with half truths, a refusal to engage, high emotions and personal attacks. Its seen this way as the creation of a new entity for Bangalore with large private funds might threaten existing ecosystems who fought long and hard to create their own spaces and have survived much including very often, their own mediocrity. The VAG does not belong to artists, it belongs to the citizens of Karnataka, who, looking at the state of the gallery, might deserve better. A sad, sad situation where a handful of the few spoil it for the community at large. A microcosm of the country at large - one step forward and two steps back. We are really lucky to have Abhishek Poddar (whose lifelong passion with the arts is commendable, to say nothing of his personal art collection and the kind of contacts he has in the international art scene) get involved. But as usual, whatever enthusiasm he had must have dissipated by now. I hope he gets another opportunity, this time without the 'small minds' of backward thinking people in the way. Thank you Ms Shaw for that heartfelt article and I hope your good offices can help change things. There should be an open competition and a tendering process, Is it RV Deshpande's (Minister of Tourism) personal property to invite Abhishek (or any crony) and have a open ended MOU (which I am sure is drafted by Poddar and Gang (MDP, Ms Shaw) eminent Champagne drinking Citizens of Bangalore!